The project was created over a long period of time and the goal has always been to create a truly reliable fund and eliminate all possible doubts from potential investors. Blockchain-based smart contracts have brought financial capabilities to a whole new level and allow you to perform trust operations without the involvement of third parties. 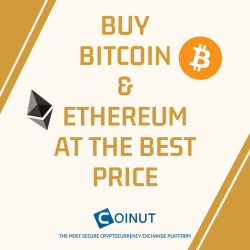 The security of your investments and the guarantee of payments are provided by the OPEN CODE of the smart contract and Blockchain Etherium. The function “DISCLAIMER OF OWNERSHIP” prescribed in the smart contract does not allow making changes or deleting it to anyone and guarantees its eternal work in the autonomous mode. We have prepared favorable terms for you to accrue interest, as well as the possibility of withdrawing your deposit at any convenient time for you. ◾️10% is allocated to the development and marketing plan of the project. The size of the deposit rate depends directly on the total deposits of all investors. ❗️Please note that at the start of the project, we give the opportunity to receive daily 7% of your deposit. Thus, we provide an opportunity for the first investors to ensure a rapid increase in their investments.  The interest is calculated until the amount of the charge reaches 200% of your deposit. As soon as the amount of charges reaches 200% of the initial deposit, the smart contract automatically returns the deposit + your savings to your wallet and removes the participant from the project. As an additional motivation, we introduced a referral program to the project on favorable terms for both the referral and the invited investor.  The project provides for the possibility of withdrawing your deposit or the amount of accrued funds without waiting for the moment of reaching 200% savings on interest.